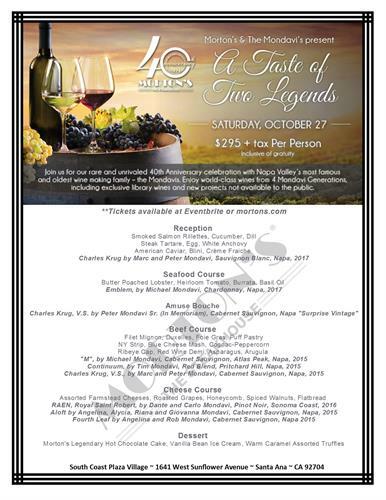 Join us for our rare and unrivaled 40th Anniversary celebration with Napa Valley's most famous - the Mondavis. Enjoy world-class wines from 4 Mondavi Generations, including exclusive library wines and new projects not available to the public. Tickets available on Eventbrite or at Mortons.com.